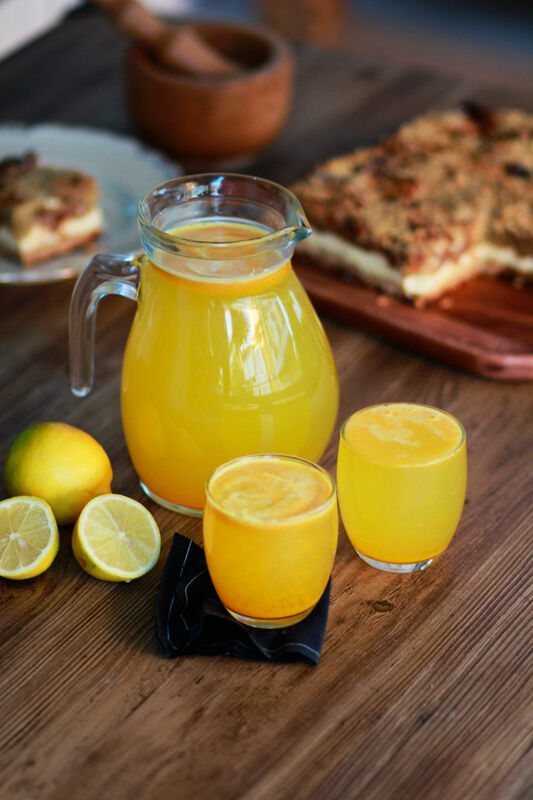 This Turmeric Ginger Lemonade is great for fighting fatigue and reducing inflammation in the body. It’s quick to make, naturally sweetened, and super refreshing! A homemade lemonade with a hint of spice, vegan, paleo, and AMAZING! Bring water to a light boil on the stove. Add in your spices and let it boil again for a minute, then reduce the temperature and simmer turmeric for 10 minutes. Remove from the stove and let it cool a bit. Then strain the liquid to get rid of excess ginger root or spice powder. Strain with a clean cloth. 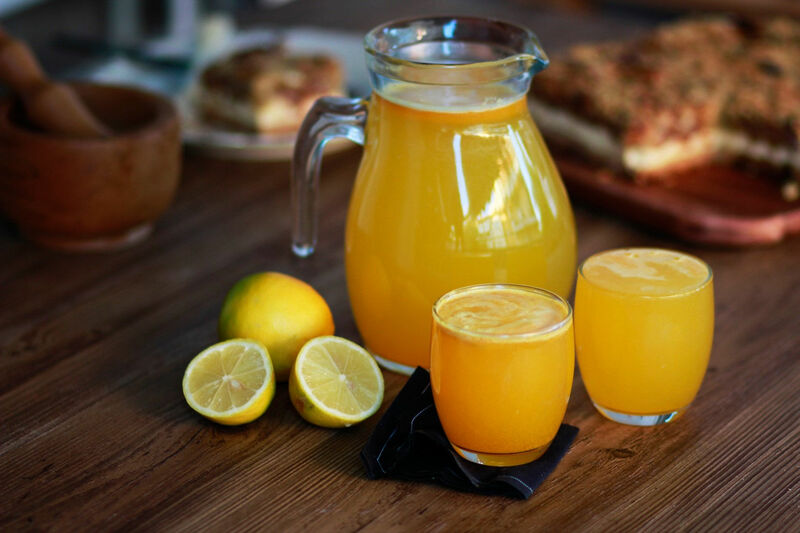 Pour the rest of the liquid into a pitcher along with your lemon juice, extracts, and sweetener of choice. Mix again so that the maple syrup and lemon juice are combined with the turmeric ginger brew.